So, Christmas is a few days away and you’re still looking for the perfect gift. 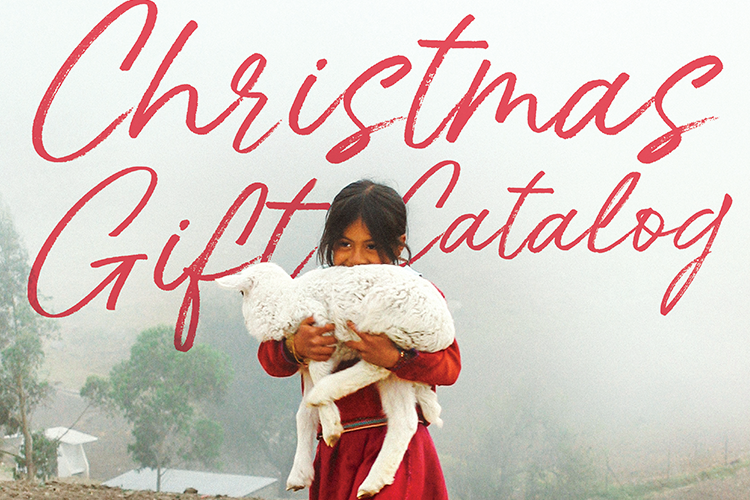 BGR’s Gift Catalog  has you covered! Give a gift in honor of a loved one this Christmas. Here are 12 last-minute Christmas gifts you can purchase right now — in 10 minutes or less! Few things instill more dignity than the ability to provide for your family. For $70, you can help a woman earn income with her very own sewing kit. Cooking supplies are some of the first requests a family makes after losing everything in a disaster. For $25, you can supply a cooking set to parents and children who are in the process of rebuilding their lives. Childbirth can be dangerous for mothers and babies in developing countries. For $50, you can provide a pregnant woman with access to childbirth classes. You might have memories of fishing with your dad. Fish give families nutrition and income—plus they reproduce rapidly and are inexpensive to keep. For just $3, you can provide 10 fish and agricultural training to men and women in need. Disasters destroy countless homes every year. If your dad is handy, give a new home in his honor. For $2000, you can build a new home for a family recovering from an earthquake, hurricane, fire, or flood. Animals such as goats give men opportunities to earn an income for their families. For $75, you can provide one goat and training. College students love a home cooked meal, and so do refugee families. For $50, you can provide one food packet to a family escaping disasters or conflict. Many children have serious health care needs after they are rescued from human trafficking. For $25, you can supply one month of medical treatment for a trafficking survivor. Your favorite college student is learning job skills each day. Job skills allow men and women in poverty to provide for their families. For $400, you can help give one person job skills training and equipment. Rabbits are not only cute, they are also low-cost sources of income and nutrition for families. For $25, you can provide a pair of rabbits and agricultural training. Contaminated water can make adults and children sick and unable to work or go to school. For $25, you can supply clean water for a whole family. When children are well-fed, they are healthier and can concentrate better in school. For just $3.50, you can give a child comfort and security with a week of meals.